RhodeCode Enterprise supports SAML 2.0 Authentication with OneLogin provider. This allows users to log-in to RhodeCode via SSO mechanism of external identity provider such as OneLogin. The login can be triggered either by the external IDP, or internally by clicking specific authentication button on the log-in page. Go to newly available menu option called OneLogin on the left side. 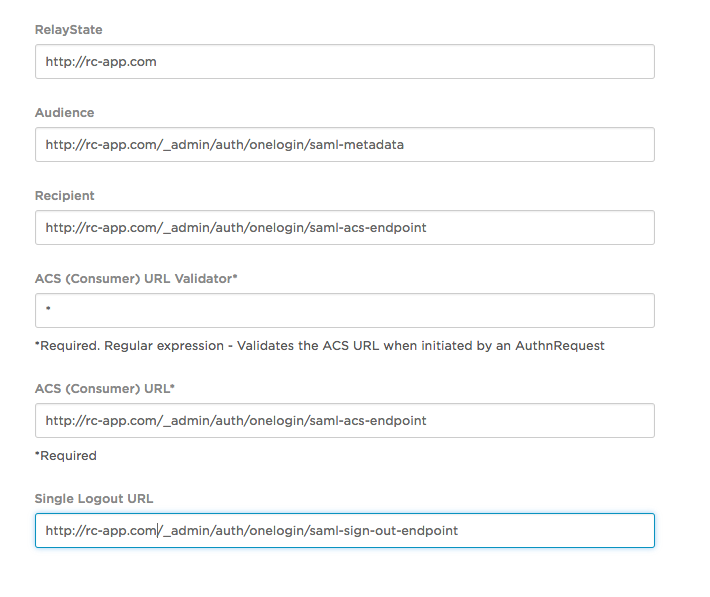 Below is example setup that can be used with OneLogin SAML authentication that can be used with above config..